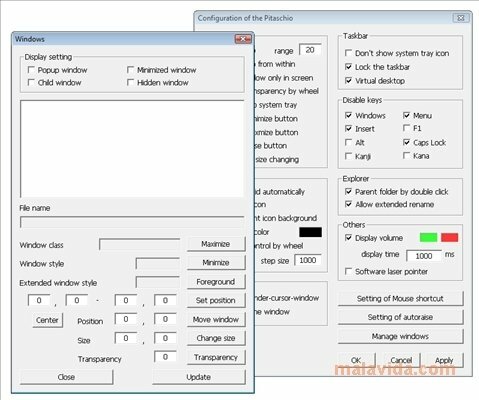 Configuring any version of Windows to each user's liking is something rather complicated, specially if we take into account that everyone has their own habits when it comes to using the interface, shortcuts, links and configurations. That is why even though the operating system by Microsoft allows a certain amount of customization per se, programs like Pitaschio can accomplish the mission of leaving our operating system exactly how we want it. 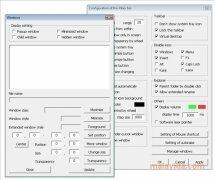 With this software we will be able to activate or deactivate some options like the possibility to move various windows at the same time, control the sound volume with the mouse wheel and see it on screen or deactivate the Windows key. It is also possible to lock the keyboard or the mouse (specially handy to be able to clean them without turning the computer off) or even to place a window above all others. These are only small details that one only misses when you are used to using them. With Pitaschio we will also be able to configure any keyboard shortcut thanks to a simple interface that will clearly show us all the options that are available and will allow us to quickly activate or deactivate them.